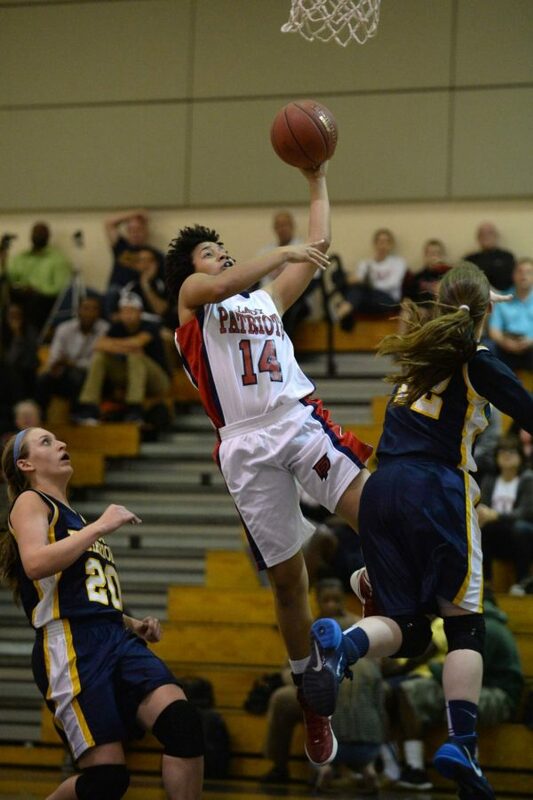 Taylor Emery, a 5’10" guard from Tampa, was the Florida Association of Basketball Coaches, the Tampa Bay Times and the Hillsborough County Player of the Year. Emery averaged 36.5 points per game, which ranked No. 1 in Florida and No. 2 nationally, and scored 2,689 career points. After an impressive 2014-15 season, including the first time participating in the NCAA Tournament since the 2009-10 season, Tulane’s women’s basketball team is now looking toward the next season. The Wave will have five incoming freshman recruits and one junior college transfer on board next year. Shakira Harding, a 5-foot-7-inch guard, spent the last two seasons at Hutchinson Community College in Kansas, where she compiled a 71-2 combined record. Harding played 29 games, averaging 7.4 points, 2.5 rebounds and 2.6 assists in her sophomore season. Taylor Emery, a 5-foot-10-inch guard from Tampa, was the Florida Association of Basketball Coaches, the Tampa Bay Times and the Hillsborough County Player of the Year. Emery was also a McDonald’s All-American candidate, as she scored 1,059 points and set a new women’s high school record in her state during her senior season. Emery averaged 36.5 points per game, ranking No. 1 in Florida and No. 2 nationally, and scored 2,689 career points. Stockton said Emery will quickly become an asset for the Wave. Ksenija Madzarevic, a 6-foot-6-inch post player and a McDonald’s All-American candidate, garnered All-Conference honors for the second year after averaging 6.1 points, 3.7 rebounds and 2.8 blocks per game. Meredith Schulte, a 6-foot guard from Georgia, was the 2015 7A player of the Year as she averaged 16.9 points per game and 7 rebounds. Schulte finished third in school history with 1,172 career points, ranked second in career rebounds and was the first player in Mill Creek High School to achieve a triple-double. Tene Thompson, a 5-foot-11-inch guard from Georgia, was a First Team All-Region selection, All-Metro Honorable Mention. Thompson also participated in the GHCA North-South Senior All-Star game. Thompson had her most impressive game in December, where she had her first career double-double in addition to 14 rebounds and a career-best 30 points. Harlyn Wyatt, a 6-foot-3-inch forward, won the 2015 Naismith Award after leading her team to a Georgia 6A state runner-up finish and its first championship game since 2003 with a record of 27-3. Wyatt averaged 16 points per game and eight rebounds in her senior season. She was First Team All-Region nominee, selected for GACA Senior All-Star game and is a member of her high school’s 1,000-point club.